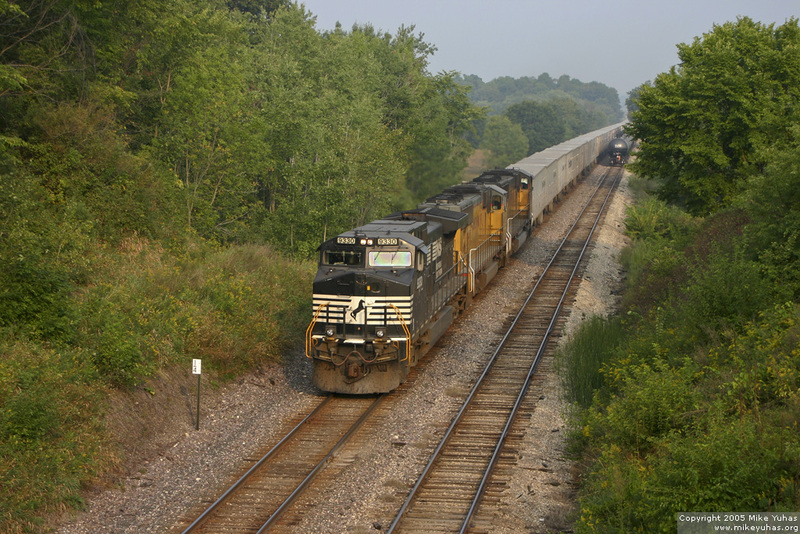 A big Z train: Union Pacific's hot ZEMCH is seen heading east over the Adams Subdivision near Lebanon, Wisconsin. Three units handle a large load of 121 Roadrailer trailers. The train is on the main while the Adams Wayfreight is in the siding.